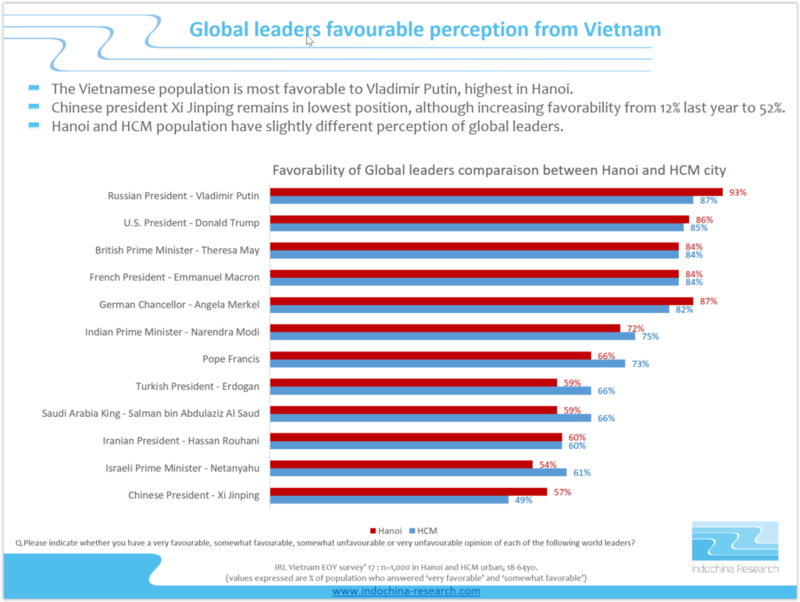 A total of 52,793 persons were interviewed globally for the 41st End of Year opinion survey among 55 countries, providing perception about global leaders. 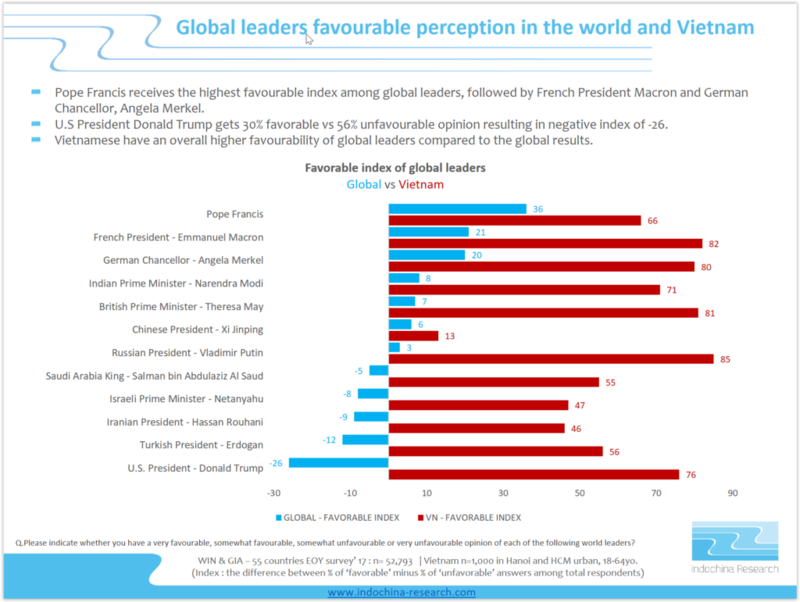 The Gallup International End of Year Survey (EoY) is an annual tradition initiated by and designed under the chairmanship of Dr. George Gallup in 1977. It is conducted every year since then. This year it was carried out by the GIA in partnership with WIN in 55 countries around the world. A total of 52,793 persons were interviewed globally. In each country a representative sample of around 1000 men and women was interviewed either face to face (23 countries; n=24966), via telephone (14 countries; n=11774) or online (18 countries; n=16053). The field work was conducted during October 2017 – December 2017. The margin of error for the survey is between +3-5% at 95% confidence level. 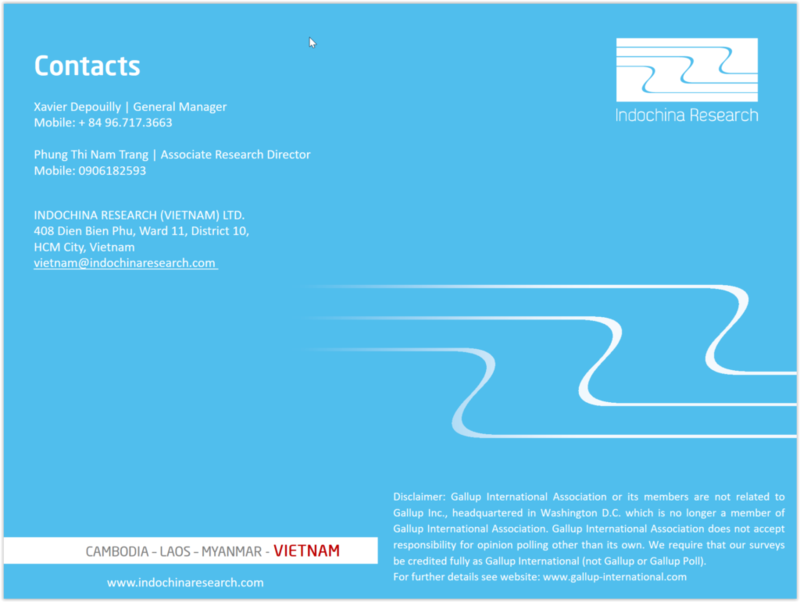 WIN is a global network conducting market research and opinion polls in every continent. To the network participate the largest independent market research and polling companies in their respective countries. 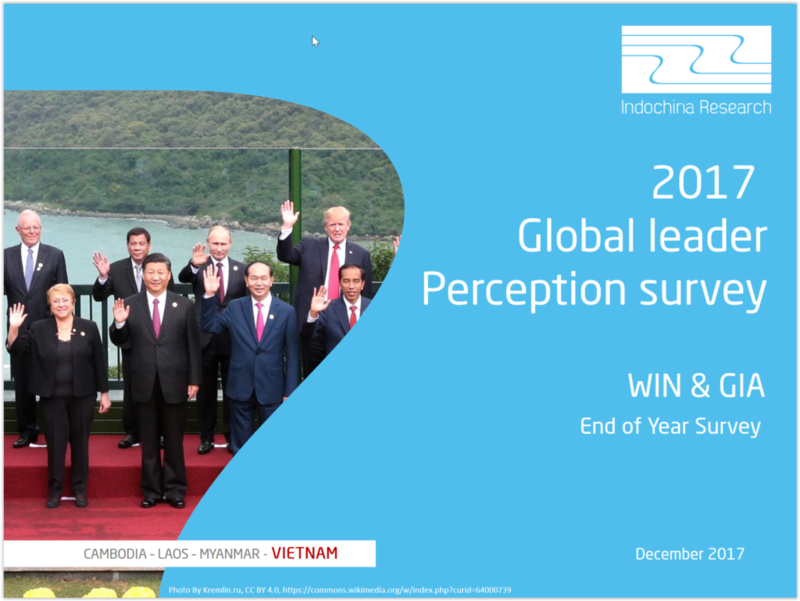 In the years, WIN has demonstrated wide competences and ability to conduct multi-country surveys following the highest standards requested by the market, with a formidable accumulated expertise. Their Members are leading national institutes with a profound local knowledge of research methods and techniques, statistical sources, customs and culture differences of its own country and carefully selected by the Association Board.